Floor - Could you please share the details of this oak floor...plain sawn, rift sawn, quarter sawn, character grade, select grade, etc? And the stain, if possible? Thanks so much! 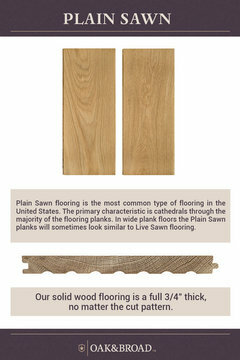 tiamurtishi, here is a helpful grain diagram on Plain Sawn. Gorgeous window drapery! - Could you please share the company that was used to dress the windows of this house? Absolutely beautiful! Thank you so much in advance! I always use Window Wraps, they are a family run business and they do immaculate work, I highly recommend them! Thank you so much and I absolutely loved your work at this house!